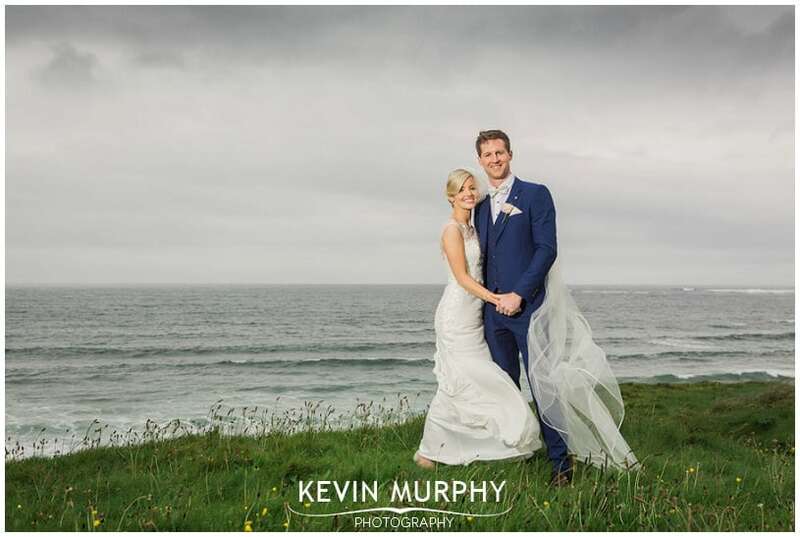 Emma and Sean flew home from Australia to get married in Inagh church. With them was their son Oisín, on his first trip to Ireland to meet his family here. It was great to see the love for Oisin from everyone. It was like he was getting a years worth of love all concentrated into a few days. After the ceremony we went to Emma’s home farm to take some photographs (I could have stayed there for hours!) and then we made the trip back to the Armada Hotel in Spanish Point for the reception. Emma and Sean put a huge amount of effort into the day from signs and props, to ideas for photos (including having some round bales in the field outside the house as well as a ladder ready to climb up on them!) and it all paid off. 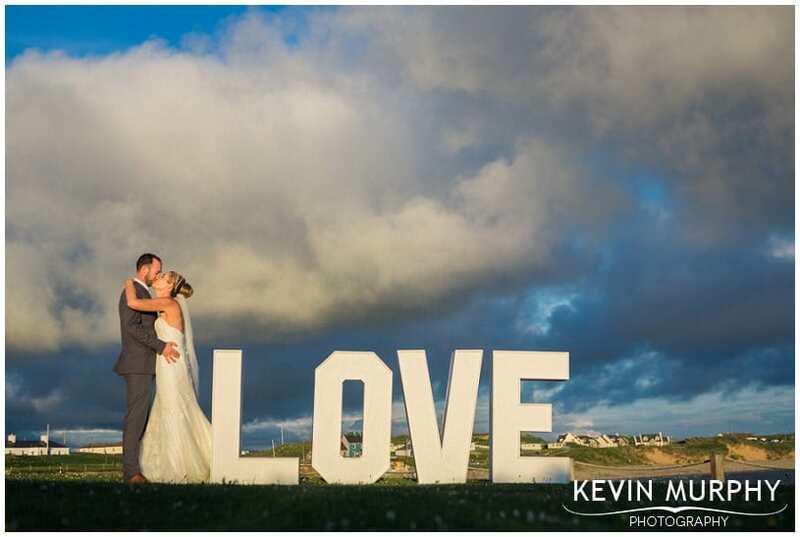 Aisling and Dave were married in the Star of the Sea church in Quilty and held their reception in the Armada Hotel in Spanish Point. It was a beautiful day, the sun was shining, love birds were chirping – what could possibly go wrong? The groom getting a vomitting bug, that’s what! What are the chances? Thankfully a hero of a doctor arrived with a magic potion up his sleeve and Dave was back on the dancefloor in no time flat. Apart from that minor hiccup, it was a fun filled day with a great bunch of people. The views from Aislinn’s house during hair and makeup that morning. The flower girls giving it socks on the trampoline. The Kerry and Dublin flags flying high outside the church. Just how relaxed the entire day was. It was lovely. 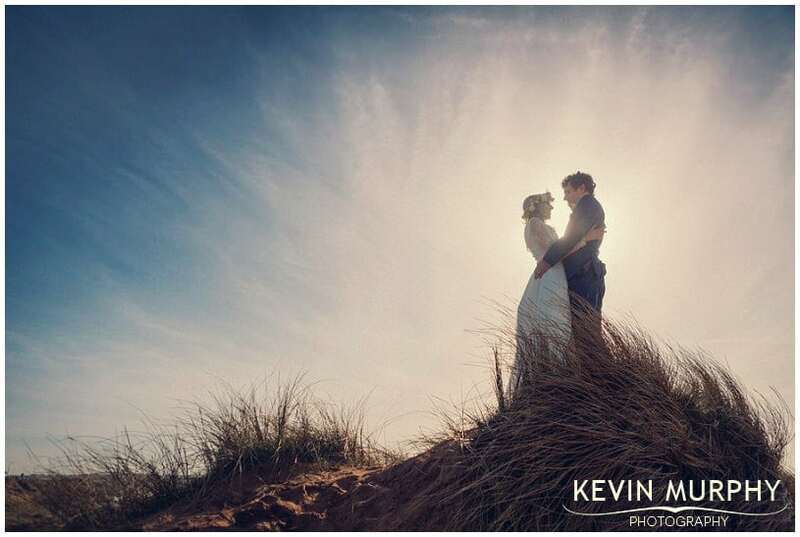 Having the craic in the sand dunes – and realising how drawing a heart on the beach isn’t as easy as you’d think! A lovely, chilled, outdoor reception – complete with ice cream, sunshine and great views. The Harlem Shake first dance. 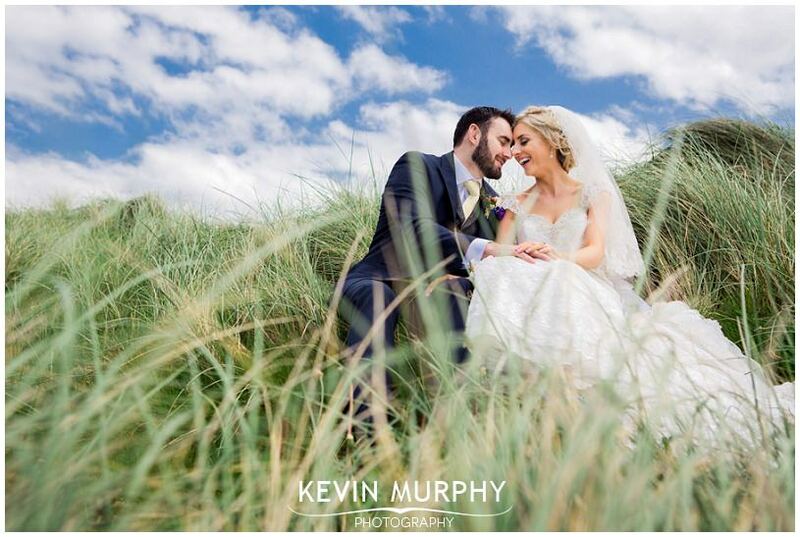 Ciara and Dave were married in the Star of the Sea church in Quilty and held their reception at the Armada Hotel in Spanish Point. There were a couple of minor glitches – the weather, a sprained ankle and the wind (which took it’s toll on a certain bridesmaid’s hair!) but they were far outweighed by the positives. It was a day filled of fun, love and a lot of laughter. I had the pleasure of previously photographing Dave’s sister Claire’s wedding (also in the Armada) so it was a treat to know both sides of the family. I loved how Ciara’s parents had a photo from their wedding day on display that morning. Ciara’s lipstick souvenir from the hen party – what a great idea. All of the little details – the silver six pence on the bottom of Ciara’s Jimmy Choo’s, the something blue, the photos and collages of their relationship so far, the signs hanging in Ciara’s house, the cherry blossom tree table plan – loads of thoughtful little personal details. Getting lucky with five minutes on the way to the hotel where the rain was much lighter so we were able to quickly get some dramatic seaside photographs. Ciara’s grandmother Bridie who cracked me up. I loved her sense of humour. 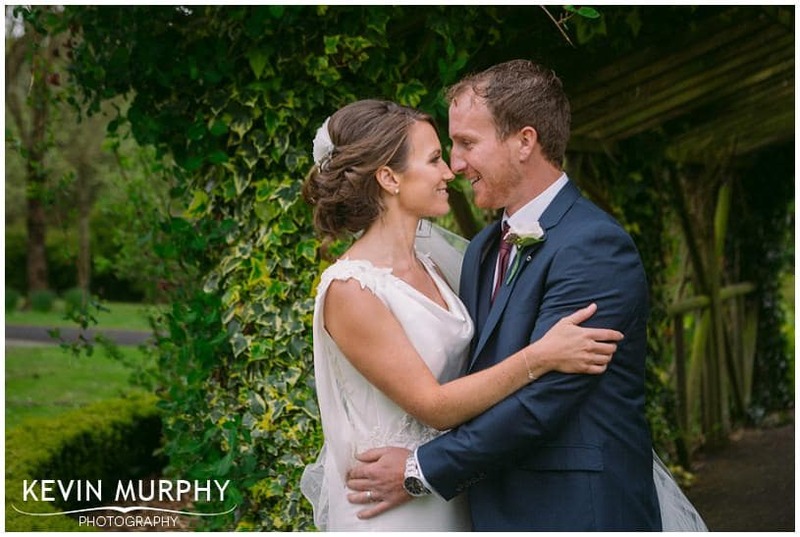 Sharon and Patrick were married in Adare and held their reception in the Armada Hotel in Spanish Point. 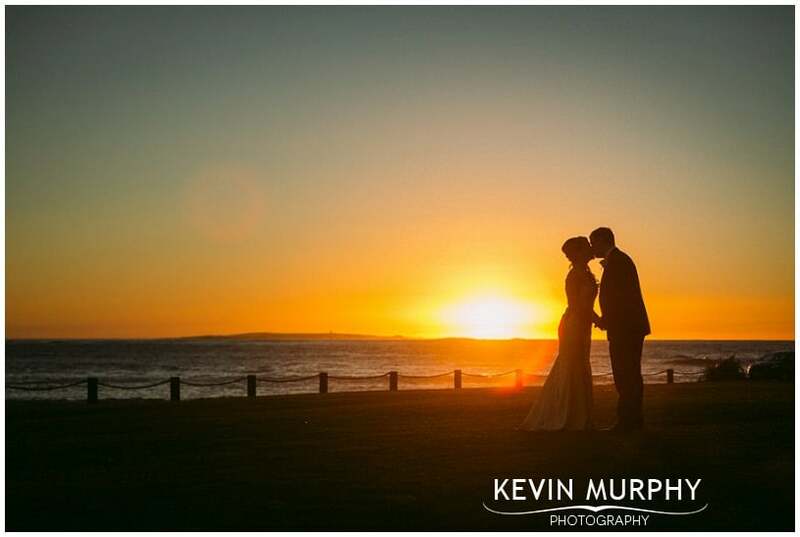 They are living in Australia, so despite phone calls, emails and even meeting Sharon’s mother – it wasn’t until a few days before the wedding that I finally got to meet Sharon and Patrick. From that meeting I knew that they were a relaxed, easy going, fun loving couple and that their wedding was going to be a lot of fun. And it was! In fact, the only thing that could have improved it would have been if they had brought a little Australian weather home with them! Alison’s seascape painting – not only a great gift but as it turns out a pretty accurate view of how the sea was that day. Maebh’s sign as she walked up the aisle. Elbow as their exit music from the church along with a crazy sock parade! Randomly getting arrested in the park by a Garda under the Public Acts of Affection Act! Anthony’s speech. His stories of shifting girls and other adventures had everyone in stitches. 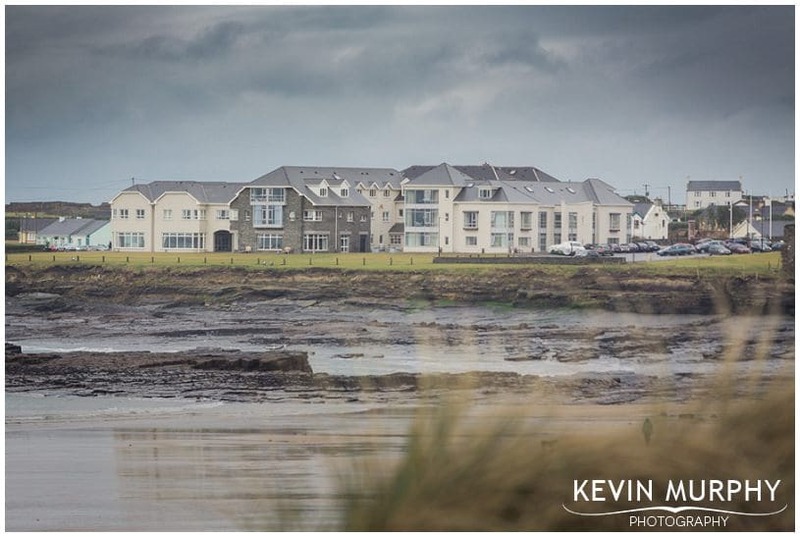 Jennifer and Liam were married in the Star of the Sea church in Quilty and held their reception in the Armada Hotel in Spanish Point. It was a magic day – starting with a solar eclipse no less. It was a day full of music and fun and the hotel was decked for their beach inspired reception. And, somehow, they managed to get the perfect summer weather as the icing on the cake! Looking for the “good scissors” to cut the ribbon that morning. The signs made for Ralf, the honorary page boy. Jennifer’s floral head piece. Loved it. Uncooperative confetti – but we got there in the end. The hotel which was a details extravaganza – from nautical themed old photograph boards to the signing canvas. The cake (made by Yvonne) looked amazing too. The surprise special guest – Sam Maguire! Thank you so much for everything, everyone I’ve met since the wedding has complimented your photos! I can’t wait to see the finished lot when you’re done with them I know they’ll be fantastic! You were brilliant to work with.